The Hotel Malmaison stands at the heart of Belfast and the philosophy of the hotel is well suited to that of the surrounding area: sophisticated, rejuvenated and with a bold, confident outlook. Whether you choose to use the conference and meeting facilities for business or for pleasure, you'll find the Malmaison has got it covered. The versatile meeting facilities have got just what you've been searching for making it a great venue choice for indoor events such as Product Launches, Gameshows, and Corporate Quizzes. We have 62 rooms and suites that combine the city's amazing history with the funkiest contemporary style. Inspired by the proportions of the Titanic, Belfast's most famous ship, our hotel's comfy beds, freestanding bathtubs and hospitality are the biggest in Ireland. 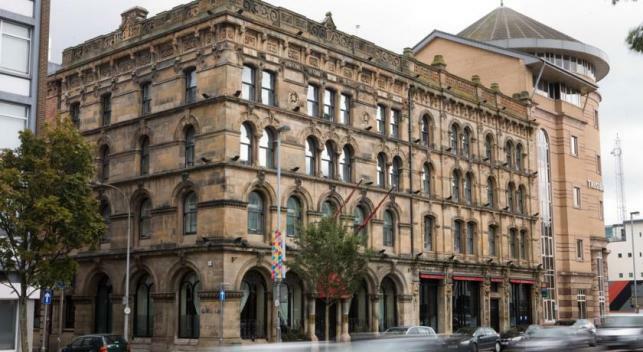 Malmaison is in the centre of Belfast, a rejuvenated city looking forward to better times. It has a compact, friendly feel for a capital city, with an array of historical, cultural and architectural delights, as well as being a great city for shopping and leisure. The Belfast nightlife too is vibrant and lively, and at Malmaison you're close to all of the action. Our Belfast hotel puts you on the doorstep of one the world's greatest maritime ports, a few minutes away from Victoria shopping centre and Titanic Quarter, and a stone's throw from the smartest bars and clubs in the city. Sure, it's the luck of the Irish to have a city like this to explore; don't miss out on this opportunity to see the best of Belfast with Malmaison.